Lioness Fitness isn’t like other gyms you’ve been to. First, we believe that bodies are amazing. All of them. Including yours, right now. We want to show you what it can do, and then watch that knowledge change your life. It doesn’t matter how fit you are or aren’t when you walk in this door. You’ll feel like a badass when we hand you a barbell, a kettlebell, or some battle ropes. And you’ll quickly realize that if you can do hard things here, you can do hard things anywhere. We turn gym-haters into gym-junkies. We talk and laugh through every single class. 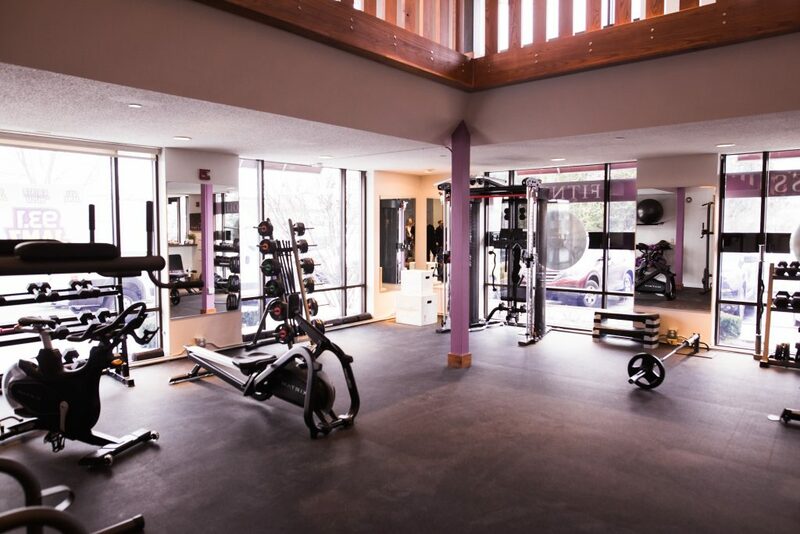 We dare you to NOT have fun here, even if you’ve never enjoyed a second of exercise in your life. 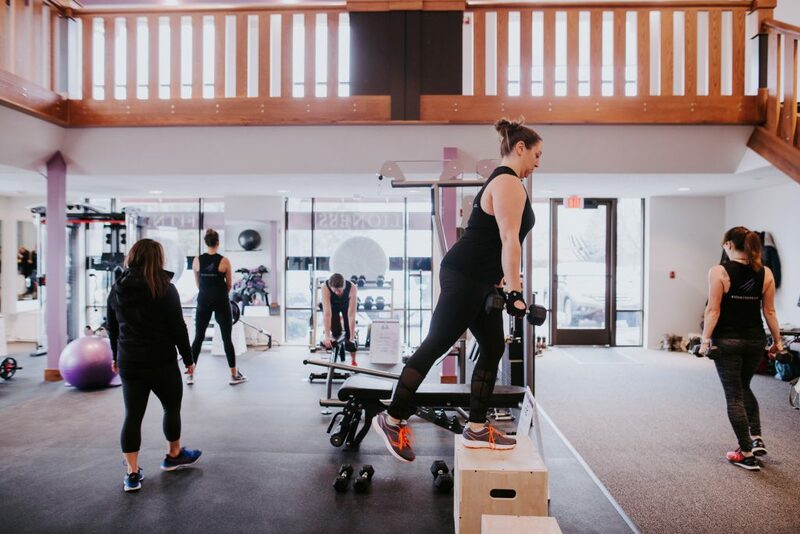 We teach women to move their bodies the way they’re meant to move, keeping you injury-free and strong in all the right ways as you navigate your daily life. What we want for you, most of all, is to move better and feel better (physically and mentally), so you can enjoy life better, both now and later. We’ve done our research, and we know what many fitness professionals are just starting to recognize: that every woman on earth would benefit from lifting weights, regardless of goals, lifestyles, and limitations. 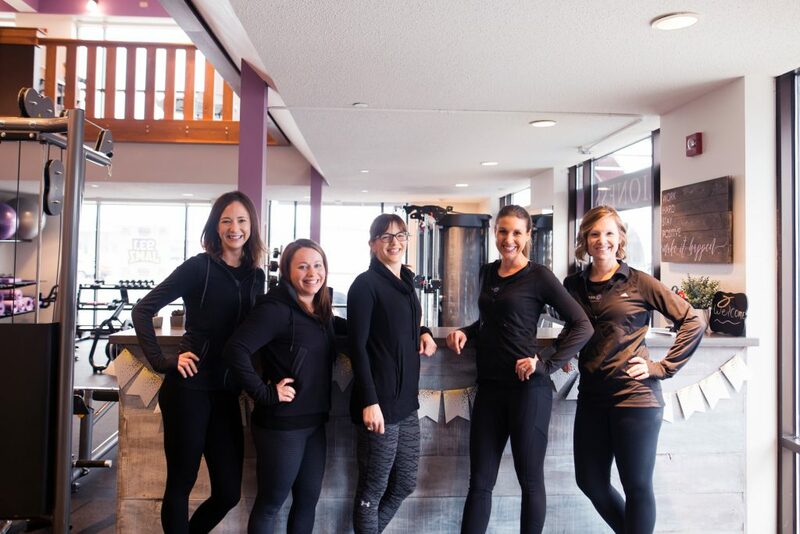 We are proud to be a gym that cares deeply about women and strives to give them what they need to be the most energetic, functional, confident possible versions of themselves. I never enjoyed working out before I started going to Lioness sessions. Now I look forward to it. I’ve seen noticeable results in my body and overall well-being. I feel stronger. I find myself making healthier choices outside of classes that I wasn’t making before. The women in class are all very kind and supportive of each other. And the cherry on top is that I’ve lost 25 pounds since starting 9 months ago! Favorite gym atmosphere thus far! I like the weightlifting, the supportive atmosphere, and the knowledgeable trainers. I’ve seen more physical results than ever before, and I feel so much stronger. I’ve also made some great friends! When I weight lift, I grunt. I breathe loudly. I try hard. That's all encouraged at Lioness. I feel welcome there. I feel stronger. I feel like I've fit working out back into my life's schedule. And I've made some friends, too! I absolutely love going to class and really look forward to it. The "family" feel with the rest of the participants is the best. Everyone supports everyone, cheers each other on and pushes each other to do their best. It really is the very best fitness environment I've ever been part of. Kim and the other trainers are so welcoming, funny and non-intimidating - it's like working out with friends! It’s a very supportive environment where I don't feel like I'm competing with anyone but myself. I'm feeling stronger and more confident, which is really awesome after having just had a baby. I feel better about myself (physically & mentally) and I never realized how much I like to workout/hang out with other women going through similar things in life! I love the energy and supportiveness of the group workouts, and motivation from trainers. And after time, I was seeing and feeling results, which made me want to stick with it! I love that the classes are just for women, the class sizes are small and the trainer support is amazing! !I I feel much more confident (body image) and of course I’m stronger! I'm stronger in places that I was weakest. I'm a strong runner but there are always parts of my body that could use a little more strength to support my lifestyle and running goals. I appreciate the focus on form while still pushing yourself, so you can minimize injuries and maximize results. These classes helped my energy level and ability to run after my kiddos. They also helped me postpartum ease myself back into workouts without injuring myself. A full grocery cart feels lighter. Besides that, the group of women I work out with are fun and caring, and I feel more confident doing athletic activities. I love that women from all fitness levels can come and work out together! As an individual, you can tailor the workout to what you need. It feels awesome to feel yourself getting stronger. Also, girl power! We believe that fitness has been underserving women for years. And we’re here to change that. We’re tired of watching fitness programs prey on postpartum moms during an unbelievably tender time in their lives, pushing the “pre-baby body” agenda rather than encouraging thoughtful, compassionate postpartum recovery. And we’re just plain tired of watching the effects of all this pressure on our culture. All of the self-loathing and self-punishment is distracting us from being the strong, confident, compassionate LIONESSES we were meant to be. 12 stations. 40 minutes. 40 seconds of work + 20 seconds of rest. 5 minute warmup + 5 minute cooldown. Fist bumps all around. And go on with your day. Our workouts are different every single day, and they incorporate a huge variety of equipment to keep things interesting and fun. We’ve spent years tinkering with our strategy – experimenting with the timing, the amount of rest, the amount of cardio, the number of stations, the muscle group pairings we use, etc. – until we finally found the perfect formula for achieving maximum results, with just the right amount of time and effort. The hardest part is getting through the door. Once you’re here, you’ll see that you’re surrounded by women just like you: women with busy lives, with limited time, energy, and resources. With kids and jobs and laundry and errands and stress. But they’re also women who respect their bodies and want to take good care of them. They’re women who prioritize themselves, because they know how much it benefits everyone around them. They’re women who have learned when to push and when to slow down, and the importance of getting that balance right. Welcome to your new gym home. All Certified Personal Trainers, women, and moms. Kim is passionate about fitness for women, and especially for fellow moms. She loves teaching group fitness classes, but even more, she loves educating women about their bodies and what they can do. Kim is certified as a personal trainer through the National Academy of Sports Medicine, has specialty training in pre- and postnatal fitness, and holds a certification in Les Mills BodyFlow (a type of yoga). At the gym, she keeps her own workouts varied with olympic-style weight lifting, traditional strength training, kettlebells and TRX, running and rowing, and (very very important to her sanity) yoga. Kim is mom to three kids – Mason, Joshua, and Leah – and a proud UW-Madison alum (Journalism/Spanish). Her hobbies outside of fitness include reading and writing, camping and hiking, and eating and drinking tasty things. Bethany loves learning about everything fitness and health related! Moving her body and becoming stronger has been a game-changer for Bethany’s sense of overall balance in life, especially as a mom. She began her fitness career teaching Les Mills BodyPump and grew to love weight lifting through that. She also holds certifications in a cycling class called RPM and a high intensity interval class called Grit (both Les Mills classes), and also is a certified personal trainer through NASM. Training women to lift weights has by far become her favorite way to share health and fitness! She loves seeing people both move and feel better, and has loved building friendships with those she trains. Her own exercise routine involves a variety of workouts to keep things interesting –weight lifting of all kinds, cycling (because it’s fun! ), running, and yoga. When not training and running around with her two young kiddos, she enjoys trying new coffee spots with her husband, cooking/tasting different cuisines (Indian food is her favorite), traveling anywhere that involves a beach, and reading. She loves sharing her passion of helping people find overall wellness through exercise, as a way to balance both the mind and body. Also, she is a firm believer exercise should be fun and challenging – NOT torture! Because who has time for that, anyway?! 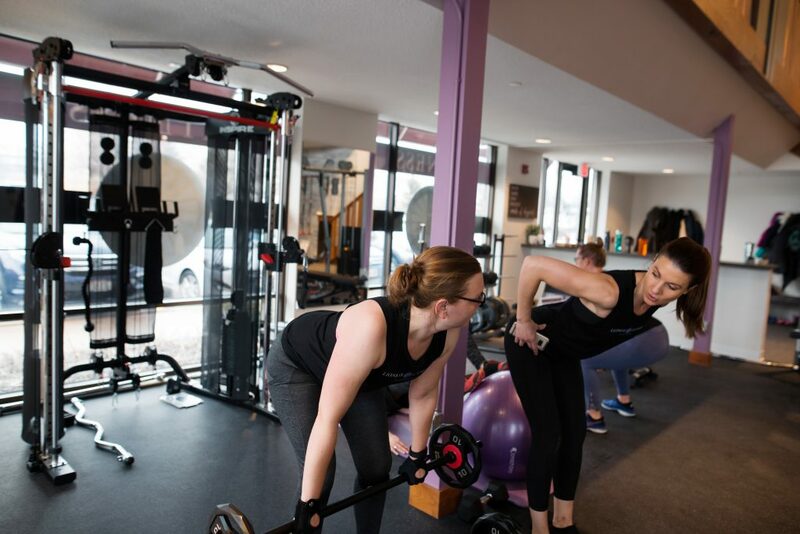 Fitness is a passion of Lauren’s because she believes that the challenges that we push through and the goals that we meet in the gym shape our mindset to be successful in other avenues of life. 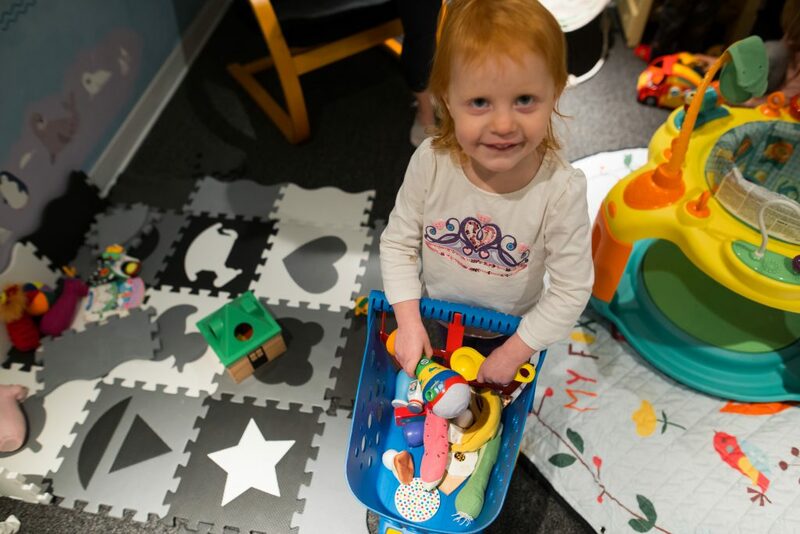 Lauren also enjoys helping women carve out time for themselves in order to meet the physical and emotional demands of being a parent. Lauren is a certified personal trainer through The American Council of Exercise (ACE) and has experience working with special populations including pregnant and post-partum clients. As an avid runner she enjoys participating in the many races Madison has to offer. Lauren also likes to keep things fun and challenging in the gym with a mix of heavy resistance training, HIIT cardio classes, and spinning. Outside of the gym Lauren is busy keeping up with her kids Lucy and Deacon. As a proud UW grad she loves anything and everything Badger. In her free time she enjoys baking, gardening, and “pintresting”— preferably in yoga tights with coffee. Raised by runners, Kelley learned the importance of movement and its positive effect on mind and body at a young age. Although her personal workouts included HIIT classes, spinning and kickboxing, the majority of her time was spent running. She began pounding the pavement in college and ran half and full marathons in her mid-20s. A lingering sports injury has slowed her down a bit, but she still finds time to lace up and lose herself in a good playlist exploring the streets of Madison. 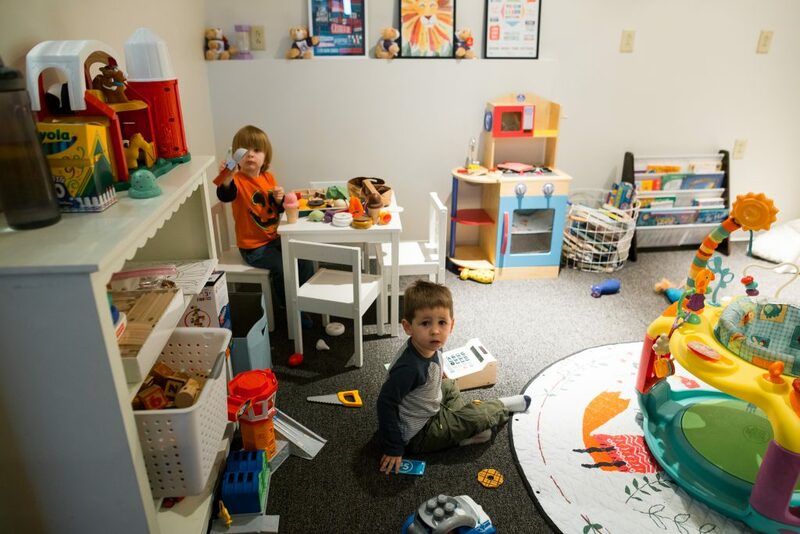 After the birth of her second child Kelley took a sabbatical from her first career in music education to pursue the role of stay-at-home-mom. Her desire for adult connection in a world of nap schedules and goldfish led her to Kim. She needed something to shake up her workout routine, but strength training was always something she had avoided. Kim and her Lionesses changed all that. Weightlifting has kept Kelley’s workouts more interesting and challenging; the support of these awesome women keeps her motivated to push herself every day. Outside of the gym Kelley enjoys hiking with her partner and two kids, baking delicious treats, catching up with friends, and party planning. 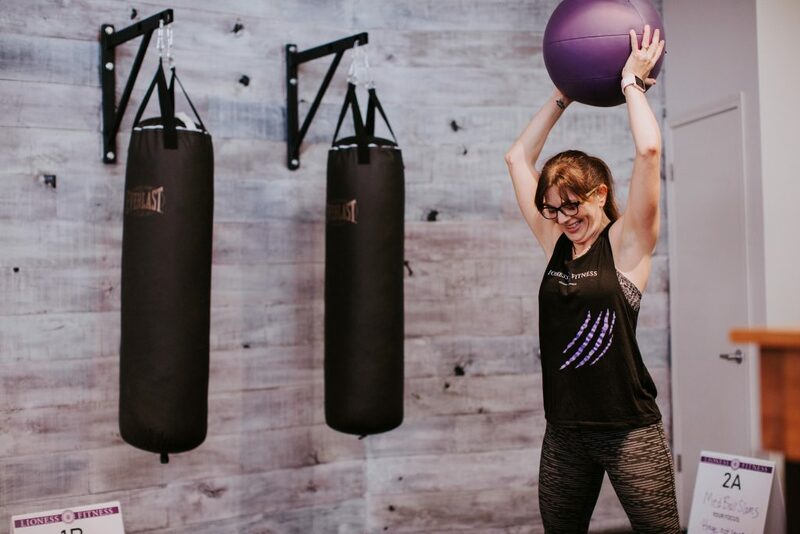 Kelley is a certified personal trainer through the National Academy of Sports Medicine (NASM) and is excited to share her love of weightlifting and her passion for teaching with future lionesses. 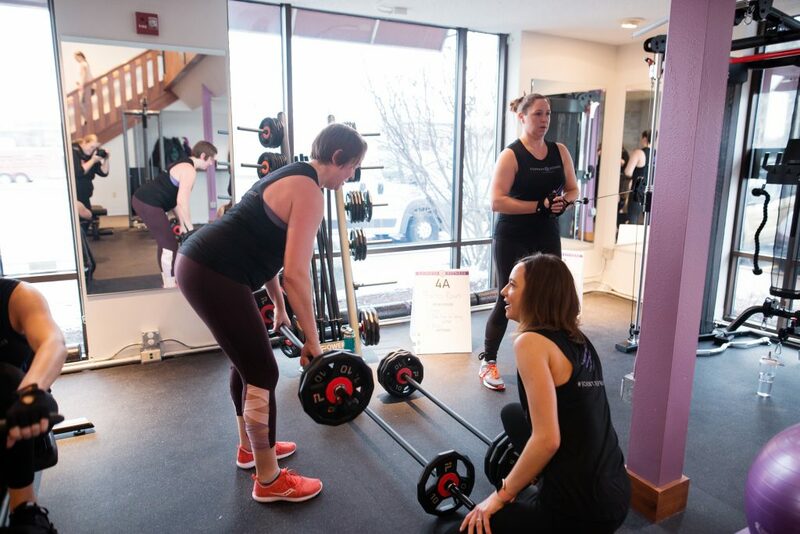 Our signature program incorporates a variety of strength training equipment in a fun, intimidation-free small group women’s weight lifting circuit class. Participants rotate through 12 stations, following a timer. Classes are kept small, to ensure plenty of individual support from the trainer. And, since everyone is always doing something different than everyone else in the room, each woman in class is competing with NO ONE but HERSELF. Our yoga classes are 45 minutes of gentle movement and stretching, carefully designed to be appropriate and accessible for ALL bodies. Come as you are. This might just be the least intimidating yoga experience on the planet. 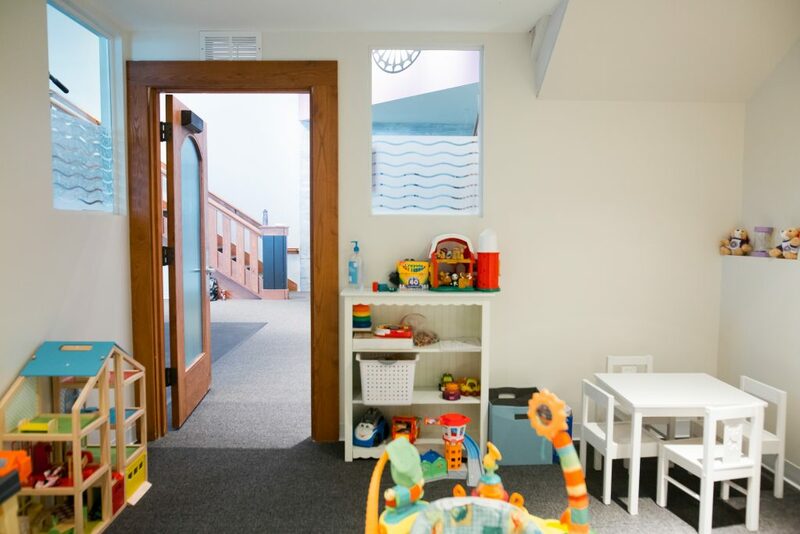 Come relax in our sun-bathed loft space, right above the gym, and then go home ready to take on the WORLD. P.S. Don’t have a yoga mat? We’ve got you covered! Note: We hope to add more yoga classes throughout the year, according to demand. Please contact us to suggest a time you’d like to see added to the schedule! Grab Your Free Copy of our Strength Training Guide for Women! Drop your info below to join our mailing list. We’ll kick off our new friendship by sending you a copy of our Strength Training for Women Quick Start Guide right away! Of course, you can unsubscribe anytime. First time here? Hit Sign Up below to jump to our registration page. Once there, go to Pricing to see membership options. Make sure to grab your free trial pass – your first class is on us! 3 month minimum commitment, then month-to-month after that. Members can switch to another membership level at any time or freeze an account for up to 3 months, at no cost. After a cancellation is requested, one final monthly charge will be withdrawn. To cancel, email us at hello@lioness-fitness.com.